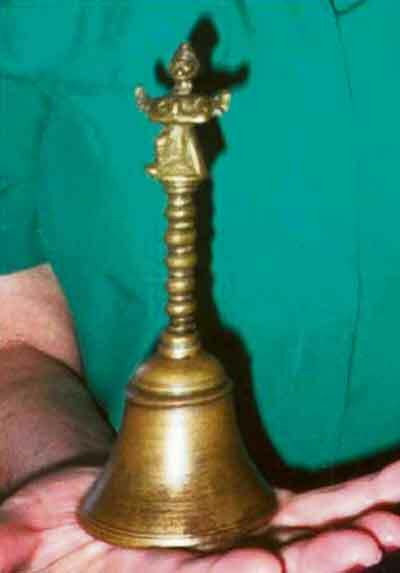 When an analysis was carried out it was discovered that the bell was made from anunusual mix of metals, different from any known modern alloy production (including copper, zinc, tin, arsenic, iodine, and selenium). 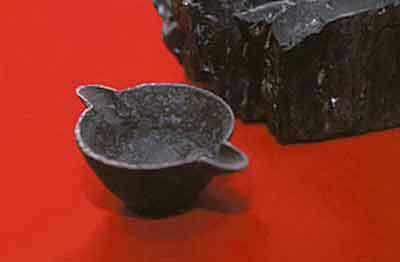 A hand crafted bell found in a 300 million year old lump of coal! These extraordinary discoveries although bizarre, are not unique or even uncommon. There are literally thousands of them collecting dust, locked away from public scrutiny in the vaults of museums throughout the world. A cast iron pot found in a lump of coal. 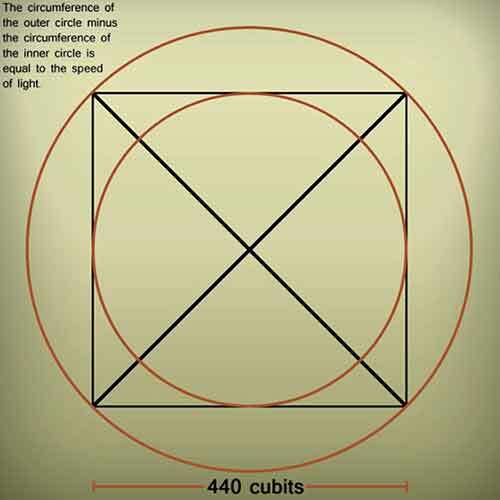 The Salzburg Cube is yet another ancient puzzle found by a worker named Reidl, in an Austrian foundry in 1885. Like the others, this man broke open a block of coal and found a metal cube embedded inside. Recent analysis established the object was of forged iron and obviously hand crafted. The coal it was found in was millions of years old. The list of such items goes on and on and on. This newly invented condition is listed in the latest instalment of the industry’s Diagnostic and Statistical Manual of Mental Disorders, or DSM, which dubs people who do not conform to what those in charge declare to be normal, as mentally insane. On the other side we have the creationists with the belief that some omnipotent invisible being who lives in the clouds, waved his magic wand about 7,000 years ago and created the earth and everything on it. Again the adherents of this equally flawed theory rely on nothing more than a book called the Bible for their “proof” of this concept. The fact that this book has been bastardised during translation numerous times during its existence, has been re-written to certain individuals personal preference on a number of occasions, and has had many complete chapters omitted, is irrelevant to its followers. All they require is “faith”. Proof and evidence is not a prerequisite! One couldn’t get more opposing beliefs if one tried, and both camps adhere to their beliefs voraciously, and with unshakable fervour. Yet neither are based on any kind of factual or hard evidence. The reality is that the origin of the human race is a total enigma. No one, anywhere, actually knows how old humanity is or how and where it originated. It is a complete mystery. Yet from birth one is indoctrinated into one or the other of the above factions, with no questions asked or alternative opinions allowed. The problem the mainstream has with these anomalous Ooparts is that they throw into question every single established belief there is regarding our past. It seems that everywhere we look, we find things that contradict much of the scientific orthodoxy of today. The scientific establishment will never acknowledge or admit that these artefacts are authentic. To do so would be to admit that they are completely wrong about our origins, and consequently, invalidate all of the text books used to indoctrinate us and our children. The discovery of Ooparts completely annihilates the [comparatively recent] theory of evolution. If, as this hypothesis would have us believe, modern humans only evolved 200,000 years ago (or thereabouts), one has to ask how man made artefacts, found in substrata originating millions of years ago, could be explained? Alternatively, the advocates of creationism have a very quaint way of “acknowledging” the existence of Ooparts, and bizarrely, actually believe that Ooparts substantiate their world view. Creationists just completely disregard the established dating methods, and declare every single recognized archaeological and geological process null and void. They would have us all believe that coal seams, rock strata, fossils, minerals, precious stones and every other antediluvian element, took only a few thousand years to form. Yet the psychiatric establishment would have me labelled as the loony for questioning this baloney. Go figure! There will no doubt be readers who, similar to predictable conservative archaeologists, and probably due to their indoctrinated belief system, will also dismiss the aforementioned Ooparts as hoaxes or forgeries. Perhaps they would like to consider and offer an explanation for the following. It is an accepted belief that humans and dinosaurs did not co-exist. According to conventional academia, dinosaurs roamed the earth between 65 and 225 million years ago, whereas the earliest upright biped humanoid, homo erectus, only appeared about 1.8 million years ago. However, in 1968 a palaeontologist named Stan Taylor began excavations of fossilised dinosaur footprints, discovered in the bed of the Paluxy river near Glen Rose, Texas. What he unearthed shocked and dumbfounded the scientific community. 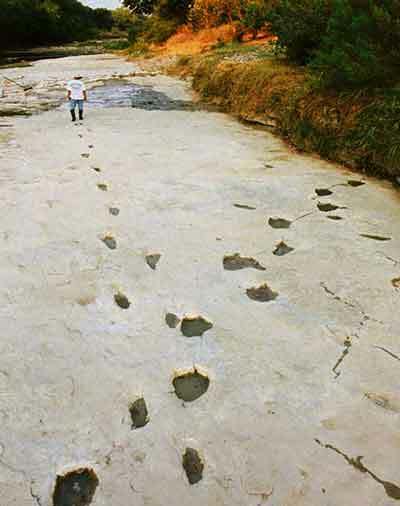 Alongside the dinosaur tracks, in exactly the same cretaceous fossilised strata, were well preserved human footprints. Human footprints crossing 3 toed dinosaur footprints fossilised in the Paluxy river bed. The immediate reaction of evolutionists, archaeologists, and science in general, was to debunk the find as a hoax. “They were carved into the rock by hoaxers” or “They are not human footprints, but more dinosaur footprints that have been eroded to look human” were the arguments most commonly proposed. However, their line of reasoning falls somewhat flat when one asks why only the human prints were eroded and not also the 3 toed dinosaur prints? Additionally one has to consider, if the human prints were carved as a hoax, how did the hoaxers manage to carve further human footprints that continued under bedrock that was later removed from the side of the river bed? Since the initial discovery, hundreds more human footprints have been discovered and unearthed, both in Paluxy and in many other places around the globe. Either those hoaxers have unlimited time and budget – or someone is telling porkies! Next one needs to consider another find discovered in 100 million year old cretaceous limestone. A fossilised human finger, which was found along with a childs tooth and human hair. This finger has been subjected to numerous scientific tests and analysis. Sectioning revealed the typical porous bone structure expected in a human finger. Additionally a Cat-scan and MRI scan identified joints and traced tendons throughout the length of the fossil. This is one find that science cannot explain away as a hoax. Cat-scan of a human fossilised finger shows dark areas showing the interior of bones and bone marrow, along with tendons. There is however another find of recent years that blows all of the others into a cocked hat regarding age. Over the past few decades, miners near the little town of Ottosdal in Western Transvaal, South Africa, have been digging up hundreds of mysterious metal spheres. 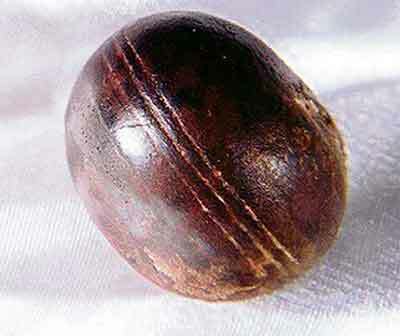 These spheres measure between 25 and 100 mm in diameter, and some are etched with three parallel grooves running completely around the equator. Two types of spheres have been found. One is composed of a solid bluish metal with flecks of white, the other is hollowed out and filled with a spongy white substance. These spheres are reportedly so delicately balanced that even with modern technology, they would need to be made in a zero gravity environment to attain these characteristics. These objects have become known as the Klerksdorp spheres. Geologists have attempted to debunk these artefacts as natural formations or “limonite concretions”. They fail to explain sufficiently how these formations occurred naturally with perfectly straight and perfectly spaced grooves around the centres. Perhaps the real reason for such fervent attempted debunking by the scientific community, is that the rock in which these spheres where found is Precambrian – and dated to 2.8 billion years old! Whether one wishes to accept these out of place artefacts as genuine or not is I suppose, down to personal beliefs. Evolutionists refuse to accept them as to do so would mean re-evaluating their whole indoctrinated belief system. They will even stoop to producing outright fantasy in their attempts to discredit these discoveries. If that fails then they will just pretend that they do not exist, and then hide them away – forever. Creationists on the other hand willingly accept them as some bizarre kind of proof that the universe is only about 7,000 years old, and totally ignore any evidence, from any source, to the contrary. They continue to cling to a medieval belief system based purely on blind faith. How quaint. Personally, I don’t belong to either camp. I keep an open mind regarding our origins. I don’t have any particular “philosophy” on the subject but rather prefer to adapt my understanding as new evidence becomes available. My only current belief based upon all of the available facts to date is that the human race has inhabited this planet for millions of years longer than is presently accepted. I realise that I will never discover the answer to the question of our origin. The human race has been searching for this answer since the dawn of time, and it still evades us. What I will continue to do however is question everything, and not just blindly accept any mainstream viewpoint because it happens to be fashionable at the time. So You Think We Are The Most Advanced Civilisation To Ever Inhabit This Planet? Think Again! There are many inexplicable structures scattered to the far flung reaches of this planet. No matter the continent or the country, each has its own inexplicable megalithic sites and mystifying edifices. Some of these are well known whereas others are hidden away, covered in dense undergrowth or placed in remote locations, still awaiting discovery. Archaeologists and historians have investigated many of the more renowned sites and have provided the public with their conclusions. These conclusions are generally accepted as fact, even though the majority are based upon nothing more than supposition and assumption. Whether the deductions are regarding age and origin, or construction methods, they are usually formulated from ideas and hypothesis. There are very few historical records, and even fewer known facts regarding these amazing structures. A prime example of this lack of true knowledge is the Great Pyramid of Giza. This is one of the best known ancient structures in the world. It is listed as one of the seven wonders of the world. Yet very few real facts are known about this mysterious building. Although nothing more than assumption, based upon speculative archaeological dating methods, it is generally accepted by historians and Egyptologists that the great pyramid was constructed between 4,500 and 5,000 years ago, by the Egyptians, as a tomb for the forth dynasty Egyptian Pharaoh Khufu, also known as Cheops. It was supposedly built over a twenty year period, culminating in 2,560BC. Everything that is claimed by Egyptologists regarding this pyramid is based upon nothing more than a single mark found in an interior chamber naming a work gang (or so it is proposed). Hardly concrete evidence! Although the actual construction process is completely unknown many theories have been proposed about how the huge megalithic blocks used in its construction were moved and positioned. Although intriguing, the method of construction is, and will most probably remain, a complete mystery. If as claimed however, the Great Pyramid was constructed in just 20 years, then its builders were nothing short of phenomenal! There are estimated to be 2,300,000 blocks used in the construction, each weighing anywhere between 2.5 and 80 tons. To complete the construction in just 20 years, each block would have to be quarried, cut, transported and put into place every 4.6 minutes, 24 hours per day, 7 days a week, 52 weeks a year, for twenty years. Furthermore, the above timescale completely ignores the thousands of highly polished, precisely cut casing stones. Stones that were so precisely carved that they fitted together with a tolerance of just 1/50th of an inch – a feat that could only be accomplished today with modern machining methods. If one further considers that much of the stone used in the construction was quarried in Aswan, almost 500 miles away, and had to be transported across gruelling landscape and the river Nile to its destination, one soon realises how ludicrous this “built in 20 years” assertion is. One has to ponder that if a “fact” as basic as the logistics required for its construction could be so woefully ridiculous, then one has to question every other assertion made about this enigmatic masterpiece. What has been discovered about its construction however, will probably astonish many. Firstly the Great Pyramid of Giza has not four, but eight sides! Each of its four faces is split perfectly into two concave halves, and the only time this is visible to the naked eye is for a few minutes at sunrise and sunset on the spring and autumn equinoxes, when a shadow is cast by the sun highlighting its concavity. This fact was only discovered quite by accident in 1940, when a British Air Force pilot, P. Groves, was flying over the pyramid. He happened to notice the concavity and captured it in the photograph shown below. However, as fascinating as this is, it is nothing compared to other amazing facts discovered within this intriguing construction. Discoveries that most archaeologists and Egyptologists would dismiss as chance or coincidence, and banish from their thoughts, as to acknowledge them would necessitate abandoning their current beliefs and reassessing their whole ethos. Before we explore further the astounding discoveries unearthed regarding this remarkable construction itself, let us ponder some incredible artefacts found within the pyramid. During excavations thousands upon thousands of bowls, dishes and other stoneware were discovered, approximately 40,000 in total. That in itself is not particularly newsworthy. However, when one takes a closer look at some of these finds, one has to ask just how they were created by a relatively primitive people, with extremely primitive tools. One example is sitting in a museum in Cairo. Hewn from a solid lump of granite with such precision its creation cannot be replicated today, even with our modern machining methods. This particular bowl is completely circular with no flat base upon which to sit. It is so flawlessly created that the entire bowl balances perfectly on a round tipped bottom no bigger than the tip of a hen’s egg. This requires that the entire bowl have a symmetrical wall thickness without any substantial error. The skill required to produce such an extraordinary piece would raise the eyebrows of any modern day machinist. To produce such a piece in clay would be very impressive. To do so in granite, one of the hardest substances known to man, is inconceivable. Yet once again we are expected to believe that this remarkable creation was sculptured with nothing more sophisticated that a copper chisel and stone mallet! A perfectly sculptured granite bowl supposedly crafted with just primitive tools – yeah right! However, this amazing precision was not just limited to stoneware, but was also prevalent in the construction of the pyramid itself. The upper chamber within the Great Pyramid has walls that are perfectly vertical, and a floor and ceiling that are perfectly horizontal, to within one fiftieth of an inch! Considering that this chamber is constructed from huge granite blocks, weighing up to 80 tons each, along with the fact that the Egyptians did not possess tools capable of measuring with such precision, one has to ask how they managed to achieve such remarkable accuracy. And they did all of this with nothing more than stone mallets, copper chisels, and hemp ropes? Can we be absolutely certain that the Great Pyramid of Giza was really built by the Egyptians? Or is it more feasible that an older more advanced civilisation were the true builders? One only needs to investigate the complicated mathematics and geometry encoded into the construction of the Great Pyramid, to realise that something is very very wrong with the orthodox explanations. Mathematical knowledge that, according to conventional understanding of the Egyptian civilisation, they did not possess. In 1859 an Englishman by the name of John Taylor made an astounding discovery. Whilst working on the dimensions of the pyramid he carried out some basic mathematical sums. He divided the measurement of half the perimeter by the height of the pyramid (measured in cubits). This gave the number 3.1415. This might seem insignificant until one realises that this is the number of Pi , a formula that is not recorded anywhere in ancient Egyptian writings or texts, and is believed to have been completely unknown to them. A coincidence one might suppose. But the coincidences don’t end there. If one takes the surface area of the four sides and divides that by the surface area of the base. The result is 1.6180339887, otherwise known as the Golden Ratio (golden number) or Phi, another unique number not known to have been discovered at the [supposed] time of the pyramids construction. The Golden Ratio is believed to be a constant in the universe, and is found in many geometric forms in nature. Another coincidence? If so prepare to be astonished because these remarkable coincidences don’t end there! By dividing the distance of the half perimeter by the total height (measured in metres) the result is the Golden Number (Phi) squared. If one were to draw a square the same size as the base of the pyramid, then draw a circle with the same circumference as the square. The radius of this circle would equal the height of the pyramid. By taking the length of the pyramid and subtracting the height. The number left is 314.16 or 100 times Pi. Adding together the surface area of two sides of the pyramid equals 100 times the Golden Number squared. If one adds together the length of two sides, the resultant figure equals the distance a point on the equator travels in metres, in one second, as the Earth rotates on its axis. If the Great Pyramid was just a few centimetres larger or smaller, none of the above would be true! These remarkable discoveries continue inside the pyramid. In the upper chamber the length of the four sides added together equals 10 times Pi. If one then subtracts the length of one side one is left with 10 times Phi squared. It appears that the mathematics and geometry used in the design and construction of the Great Pyramid far surpasses any known knowledge the Egyptians were acknowledged to possess. A further fact to consider when contemplating the amazingly complex equations used in the design and construction of the Great Pyramid is that many of the above mathematical formulae relate to measurements determined in metres, or metric. The astonishing realisation here is that the length of a metre is based upon precise calculations of the circumference of the Earth, a distance supposedly only discovered by Eratosthenes, a Greek mathematician, in the third century BC. The metre itself was not discovered until 1793AD! Or should that really say re-discovered? The advocates of the Egyptology theory insist that the only measuring device available to the Egyptians was the cubit, a varying approximate measuring device with a length supposedly equal to the average length of the forearm. This conclusion is based upon the discovery of a pictogram of a forearm found engraved upon an ancient cubit. But then I suppose this is to be expected, as most of our established history is based upon nothing more than the reputable science of “best guess”! In 1925 experts and archaeologists including Jean Phillipe Lauer, Eugene Emile Antoniadi, and Jean Kerisel, deduced the actual measurement of the cubit from the dimensions of the Great Pyramid. It is now universally accepted that the true length of a cubit is 0.5236 of a metre or 52cm 3mm and 6/10 of a mm. However, there are other methods to arrive at this figure. If one were to draw a circle with a diameter of one metre 1 sixth of the circumference of this circle would equal 0.5236 of a metre. Another formula used to arrive at this figure is Pi minus Phi squared, the result is an identical 0.5236! Whichever process is used to arrive at the precise measurement of a cubit, one has to accept that, given our present understanding of their knowledge, neither of the above methods could have been known to the ancient Egyptians. Yet the very dimensions of the Great Pyramid itself prove beyond any doubt that whoever did build it, either had knowledge of the metric system, or knowledge of intricate mathematical formulae. There is nonetheless a further measurement encoded into the dimensions of the Great Pyramid. A number that when revealed, shocked and dumbfounded its discoverer, and scientists and mathematicians worldwide. The speed of light encoded into the Great Pyramids dimensions! Many, including scholars and historians, will reject the above, insisting that it is all mere chance and coincidence, whilst maintaining that the Egyptians managed to quarry, cut, dress, transport, and place, millions of huge stone blocks with nothing more than primitive tools, and do so with such accuracy and precision that we, as a supposedly vastly more technologically advanced civilisation, couldn’t replicate today. However, the anomalies of the Great Pyramid of Giza are just the very tip of the iceberg. When one begins to investigate the myriad of other ancient megalithic and prehistoric monuments around the globe, or analyses countless artefacts discovered at these sites, one soon begins to question the reliability of mainstream explanations of these structures and relics, and how or who supposedly built them. Subscribe for More Ancient Mystery Secrets Revealed!